Likely to date from the early 19th century, 2 Swansacre is of quality traditional construction and is situated in a prominent site within the Kinross Conservation Area. Last in use as a shop with flatted accommodation above, by 2004 the buildings were long-term vacant and their dereliction was of concern to the local community. 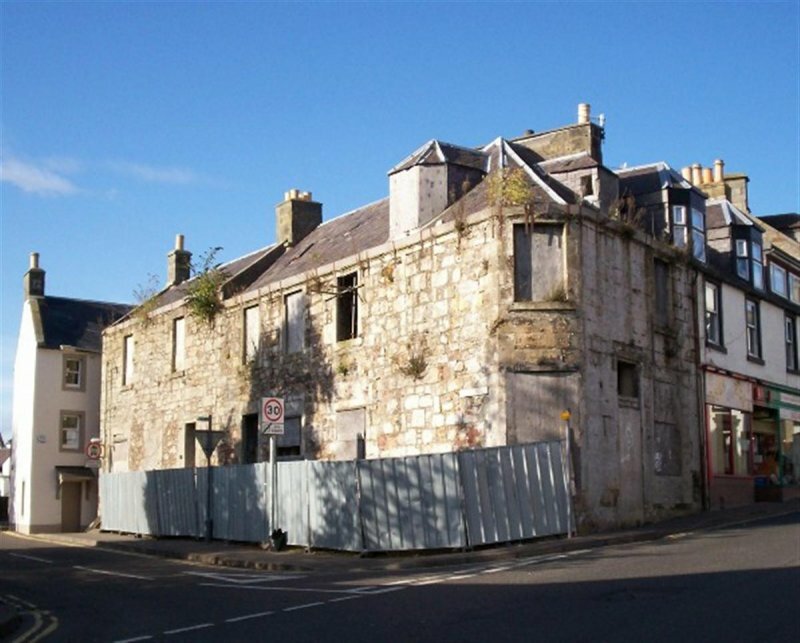 Perth and Kinross Council acquired the buildings through a Compulsory Acquisition Order in 2004, following which the buildings were marketed for sale. Whilst offers were received, no sale reached completion. The buildings' condition was continuing to deteriorate with an outbreak of dry rot being identified in 2007. 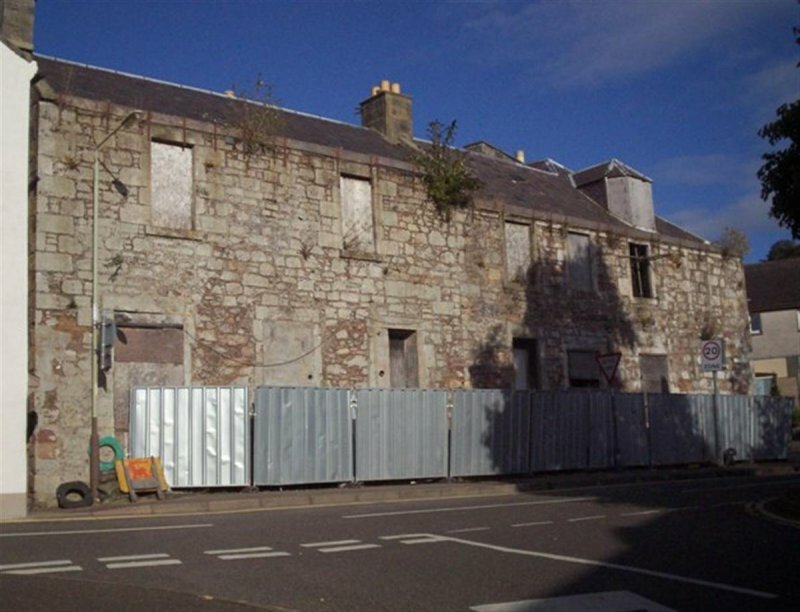 The Buildings at Risk service shared the Council's concern for these important vernacular buildings and added them to the Buildings At Risk Register. 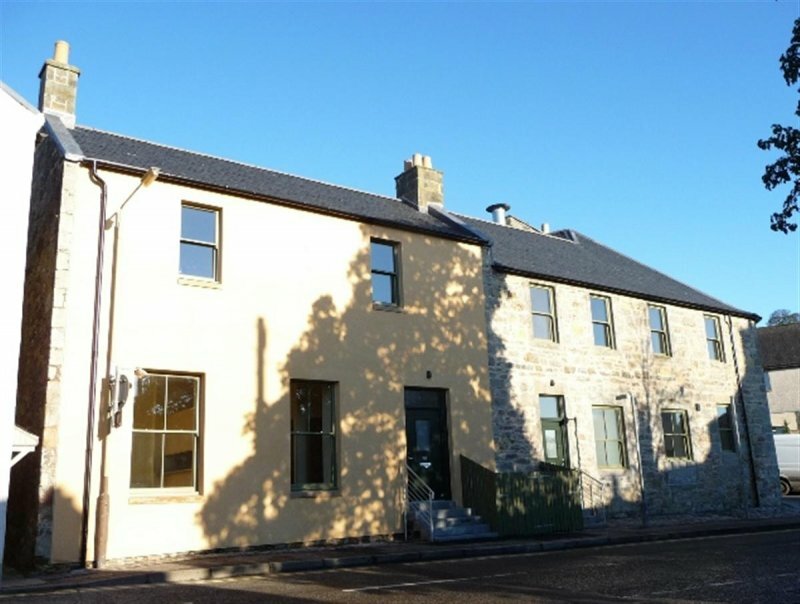 Previous attempts to market the building for sale having failed, a jointly funded initiative between Perth and Kinross Council, Hillcrest Housing Association and the Scottish Government was instead promoted, culminating in a design for two high quality 3-person houses within the existing structure. Alternative options for the site had been explored, including demolition in favour of an environmental garden with seating. However, the costs were not dissimilar to that of the Council's contribution to the renovation project and all parties felt that it was a better use of funds to deliver two houses for the contribution, in tandem with Housing Assocation Grant funding and HHA private finance. Structurally the buildings' shell was sound but a new roof, floor and inner timber frames was erected to both stabilise the shell and to accommodate enhanced insulation to meet current building regulations. The outer face of the stonework was in varying stages of decay and with a sympathetic use of traditional render and lime pointing of the stonework was restored to its new glory blending in with the surrounding properties. Internally the two houses were effectively re-built with Hillcrest standard features, making best use of the open plan living space on the ground floor. 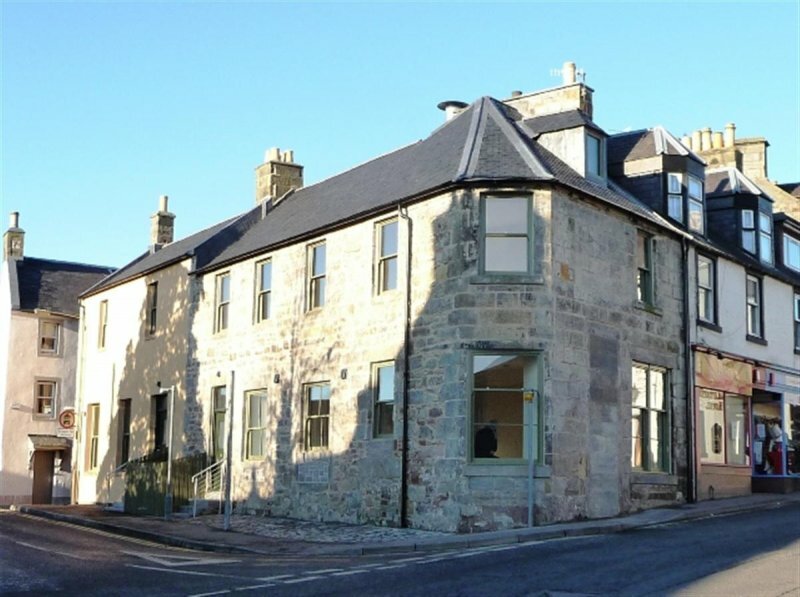 Now sensitively restored the buildings make a positive contribution to the Kinross Conservation Area and provide two much needed 3-person homes for social rent.